The bathroom is a room that is the backstage of your home. Indeed, it’s an intimate place where you prepare for your day in the morning, but it is also where you relax in the evening when you return from a long day. Finally and not least, the bathroom offers your guests a quiet place for some respite. The bathroom is a guarantee of your comfort, but also the reflection of your personality. It is therefore essential that this room be fitted, equipped and decorated to your needs. Bathroom renovation: let’s be inspired! It’s always a pleasure to renovate one or more rooms in our apartment or our house. Indeed, it gives a new breath and brightens our days. Bathroom renovation is at the forefront. As the seasons alternate, you can make your home an inspiration to help you face each day with optimism. A bathroom renovation entails the flooring (tiling, flooring or others), the walls (to cut some or repaint), etc. Bathroom renovations usually include refurbishment of all facilities. If you have had leaks, poor workmanship or other hygienic malfunctions, you can remedy all this during the bathroom renovation. 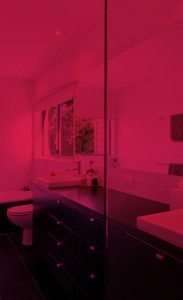 How to renovate your bathrooms? It’s simple, the key to bathrooms renovation is never to be stubborn. Indeed, we must prepare well to avoid unnecessary expenses or repairs in the short term. Proceeding step by step is wise. Firstly, it is necessary to determine the precise purpose of this renovation. Then, we must take into account the budget to be allocated to this renovation. All the arrangements to be made will depend entirely on it. Then comes the time to define the needs: what style would I want for my bathroom? A shower or a bathtub? Both? Will I need anti-slip tiles or not? How many mirrors would I install? We must also analyze the current bathroom to determine the changes to make. Nobody thinks of doing a bathroom renovation every year or every other year. The main goal is to renovate so the installation lasts 10 to 15 years. But renovating your bathroom also serves to make this room to your liking. The design of the current bathroom may be outdated and a breath of modernity is needed. The bathroom renovation is to modify it to fit your needs. Never forget about storage furniture carrying essential equipment: shampoos, towels, toothbrushes, hair dryers, hair lotions, etc. These pieces of furniture need an appropriate space in your bathroom. Choosing where to put them as not to occupy too much space is a delicate process. For example, our technicians may advise you to install some storage space during the renovation of your bathroom to optimize your space.